An old weekend project from back in college: One day of research/sketching and one of modeling/rendering in SolidWorks + Keyshot 5. (2015). 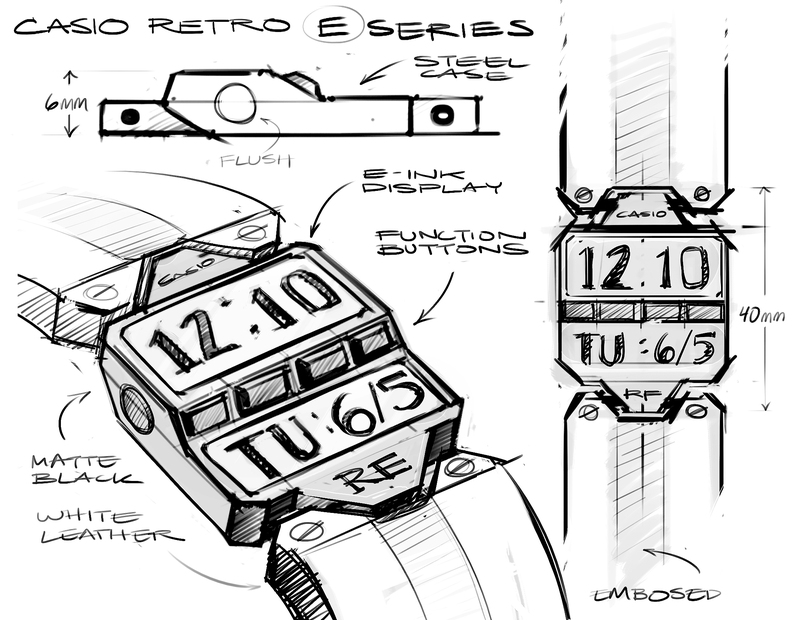 The E Series is designed to fill a gap in the market between cheap (practical) digital watches and expensive (featureless) dress watches. 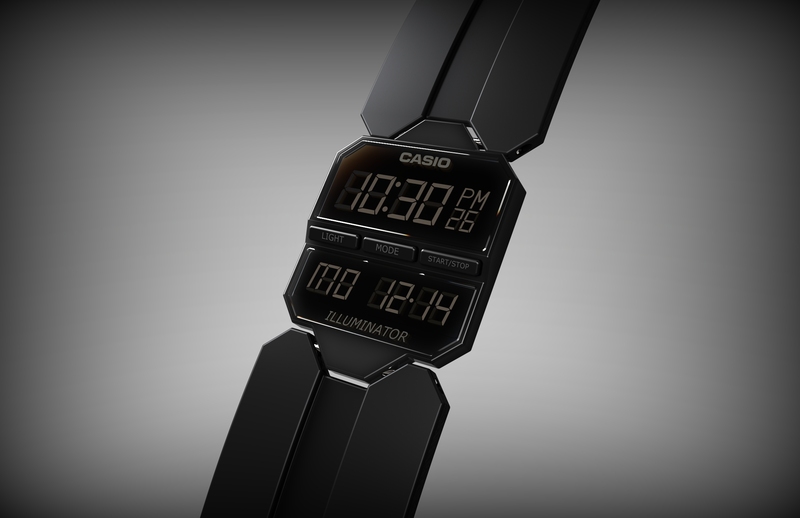 The watch maintains all of Casio's core functions: day/date, stopwatch, countdown timer, alarm and light, but offers them in a sleek luxury package. 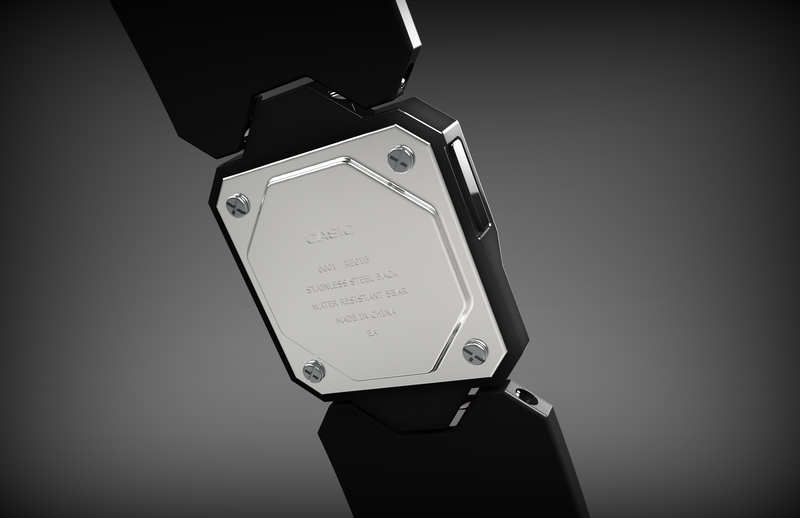 The result is the the Casio E series concept, a digital dress watch somewhere in between the Casio B640W and the Rado R21925152. The original sketch, back when I was first learning to draw digitally. Details of the side button and watch back.